If it’s art you’re into, it’s art you’ll get at the Warren Public Library during the Warren Art League annual spring show. The exhibition kicks off on May 16 with an opening reception May 19 at 5:30 p.m. The show will run through May 27. “Refreshments will be served and most artists will be in attendance,” said Warren Art League treasurer Michelle Munksgard. And the art itself? There’s plenty of mediums to go around. There’s also art to take home immediately. “At each art show we have our scholarship squares,” Munksgard said. “These are square artworks donated by members to be sold to raise money for our annual scholarships. In addition, Munksgard said 15 percent of any purchase of a piece included in the show will go back to the Warren Public Library. 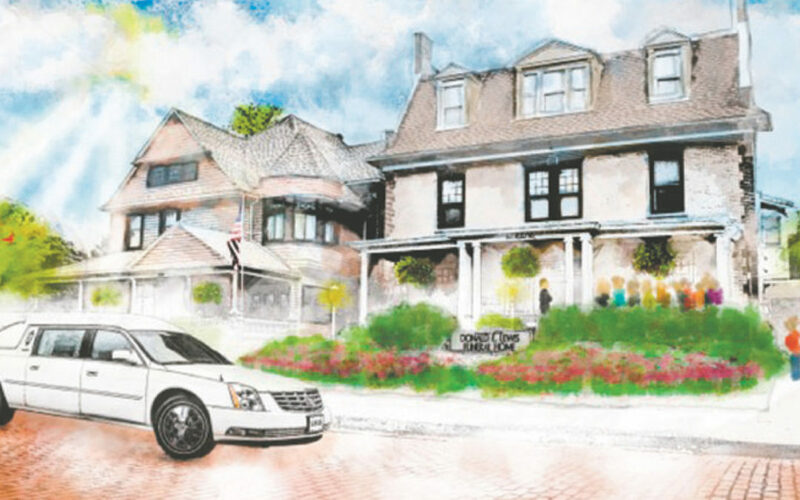 The Warren Art League started in 1953 and has continued on over the last 63 years. The group meets on the first Thursday of every month at First Lutheran Church at 6:30 p.m.
Munksgard said in addition to the usual meeting items—minutes and discussion—there’s also the hands-on aspects. Heading into last year’s show, president Barb Kersey said that in order to be eligible for the show, artists must be members of the Warren Art League and be in good standing, though the hanging committee reserves the right to refuse any work. “In addition to giving scholarships every year, art league sponsors the high school art show, judging the show and giving ribbons and monetary prizes to the best of show,” said Kersey at that time. Of those scholarships, Munksgard said at the next meeting, two $300 scholarships will be making their way to students. According to the Warren Art League website (warrenartleague.org), membership fees are $30 for a single membership, $35 for a family membership and $5 for a student membership. 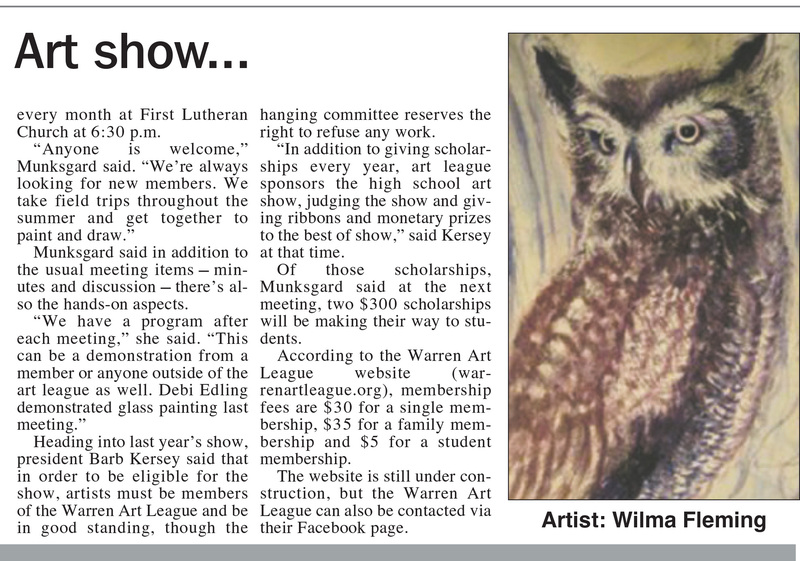 The website is still under construction, but the Warren Art League can also be contacted via their Facebook page.